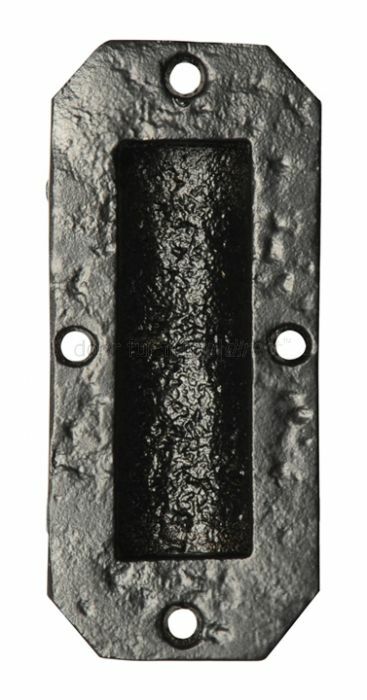 Black antique style flush pull manufactured by Kirkpatric. Outside measurements are 117x50mm. Please note the door surface has to be cut away to house the pull. Supplied complete with fixing screws.